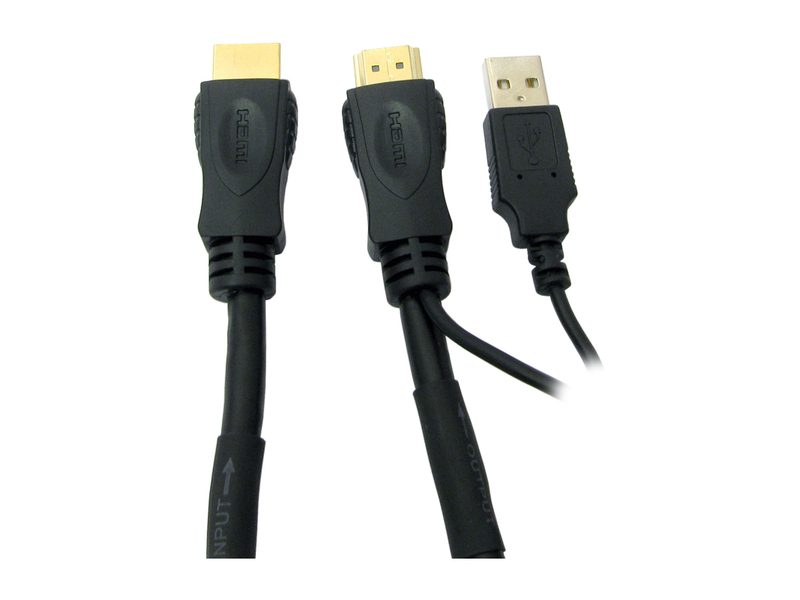 HDMI Cable With Inbuilt Booster 20M - Hdmi Cables Same Day Dispatch On Our Leads If You Order Before 2pm Weekdays. Our range of Active HDMI cables feature boosters in the connectors which allow for longer cable lengths. Please note the cables are one directional and need to be plugged in correctly. The output connector is marked "OUT"
Not compatible with HDMI to DVI converters. Currently viewing: HDMI Cable With Inbuilt Booster 20M - Hdmi Cables Same Day Dispatch On Our Leads If You Order Before 2pm Weekdays.